Bergerie très bien aménagée et spacieuse, dans un très bel environnement au calme. Accès en voiture, mais difficile si beaucoup de neige... Très bon accueil des propriétaires. Nous sommes ravis que vous ayez passé un agréable séjour, dans ce lieu que nous affectionnons tout particulièrement,.et espérons avoir le plaisir de vous accueillir à nouveau. We have spent a week in the Berenguer-Cottage and it has been one of the most satisfying hiking vacations for us. 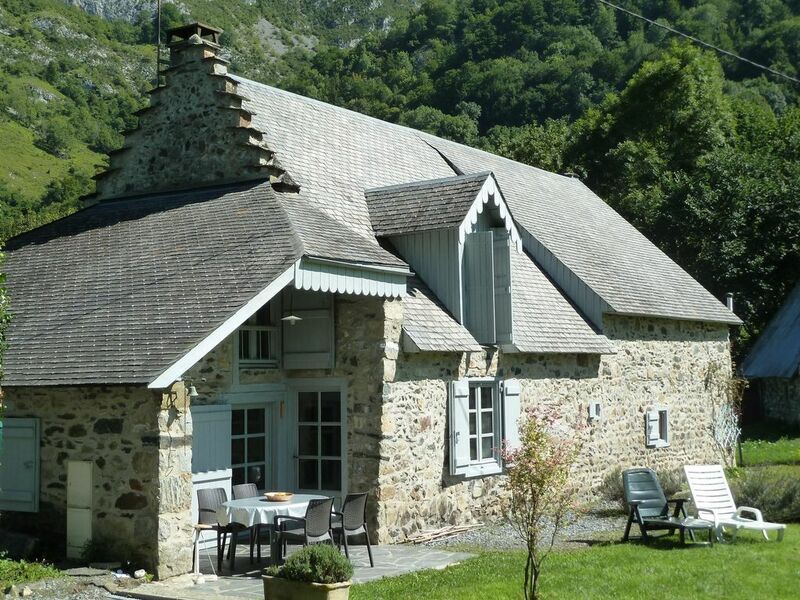 The cottage is beautifully located at the end of Sainte MArie de Campan - a historic place for Tour de France Fans - with a charming little town center including a bar and small grocery store equipped with all that is needed. The place has been beautifully restored and there is ample place for at least 8 people. There is only one bathroom in the main apartment - but this was absolutely sufficient. The large living room offers a huge fireplace, in case of colder weather and a kitchen with a kitchen table. As we were blessed with warm weather we exclusively ate outside. Even with light rain the porch offers good protection. The cottage is surrounded by a large lawn which we played soccer and Frisbee every day. The view is beautful and we have never seen more stars in the sky than during those nights. It is a great starting point for hiking and of course a spectecular start for Col d'Aspin and Col Tourmalet by bike. For most hikes you need to take a 15-20min drive for the entry but that is rewarded with spectacular views. The Berengure family is very welcoming and warm - even though we have not seen them except from day 1 and the end of the stay. 5 stars from our family. Sainte Marie de Campan est un petit village typique des Pyrénées avec toutes ses commodités. Il est situé à 12 km de la Mongie (ski de pistes) - 8 km de Payolle (lac, équitation et ski de fond) - 12 km de Bagnères de Bigorre (Casino, Thermaslisme, Accro-branches) - 35 km de Tarbes. Ill sera demandé en supplément du prix de la location, un forfait pour l'électricité et le bois pour la cheminée.